Will China’s new financial monitoring system be enough? China’s central bank will adopt a Macro Prudential Assessment (MPA) system in 2016 in order to monitor banks’ capital adequacy ratios, assets and liabilities, liquidity, and risk. This system will replace the existing dynamic reserve requirement adjustments, and will observe interest rates to prevent banks from engaging in excessive competition. The latter is particularly important now that interest rates have been freed from restrictions, although benchmark interest rates continue to act as guides. According to a press release on the PBOC website, the new system will be more comprehensive and systematic than the previous system, and will focus on the macro-prudential capital adequacy ratio. The previous concentration on loans will be expanded to bonds, shares, and other assets to allow banks more flexibility in controlling credit. Irrational interest rate pricing behavior will be constrained while still allowing banks to implement their own pricing and risk management. The MPA will play an important role in the transition to an interest rate, market-based financial system and provides the necessary regulatory underpinnings to allow continued financial market reform. Less control over interest rates has begun to permit banks somewhat more latitude in attracting depositors and extending loans. Enhancing market forces will improve the ability of banks to lend according to supply and demand of credit. This is an essential step in promoting proper bond and other asset pricing in order to attract sophisticated domestic and international investors. After it was announced in October that the deposit interest rate ceiling would be removed, many feared that this move would create cutthroat competition between banks for depositors. That sort of competition has not occurred, particularly as China has been undergoing monetary easing and both deposit and lending rates follow the benchmark interest rates. However, competition does need to be monitored, especially in a financial system that is undergoing constant liberalization. 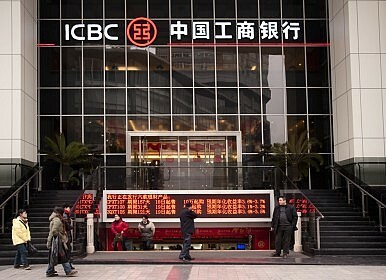 More fundamental institutional change is necessary as China liberalizes financial markets. Aside from regulatory underpinnings, which China largely possesses, strengthening the legal and judiciary system to promote rule of law will determine the extent to which the nation moves toward a market-based system. This is because ultimate state control over the legal system renders markets secondary to state demands. While China certainly has gifted technocrats in its financial sector, improving the financial sector may, down the line, become secondary to guaranteeing freedom from expropriation, allowing flagging firms to more easily unwind under bankruptcy law, better protecting the rights of lenders and borrowers, and depoliticizing courts. Therefore, China appears to be moving in the right direction in terms of financial reform, but needs deeper reforms that ensure those engaged in a market-based financial system will not face legal bottlenecks. These bottlenecks may greatly raise transactions costs or discourage potential market participants from partaking in the financial sector.